42ish feet long is fine, but 15 feet wide is tight. Your only option is 180-degree berms at the ends, with some sick straights in between. This track can be super fun. To make those berms work, you’ll need to build retaining walls on their backs. This will allow you to maximize the radii of the turns. Make the radii as wide as you possibly can, and make the banks as steep as you can (at least 60 degrees). 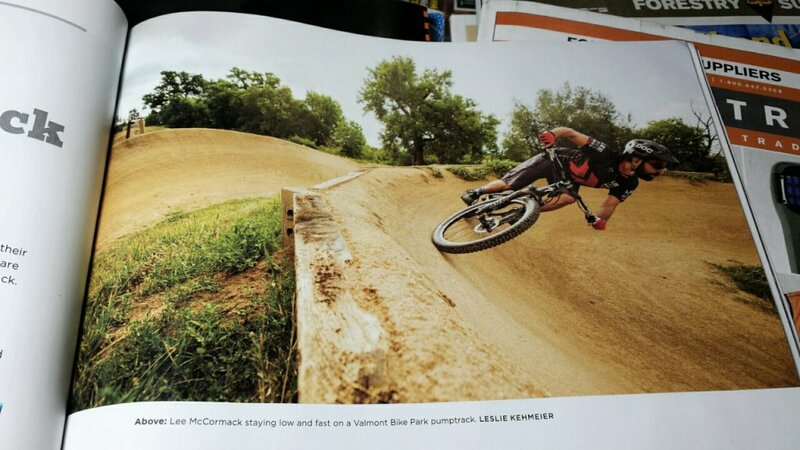 This photo in IMBA’s Bike Parks book shows a 180-degree berm on Valmont Bike Park’s Creekside pump track. The retaining wall helped the builder maximize the turn radius in the available space. The berm should be a lot steeper. You’ll find lots more details in the Welcome to Pump Track Nation ebook. Dialed bike setup and front/rear weight distribution BMX or plus hardtail on a pump track?